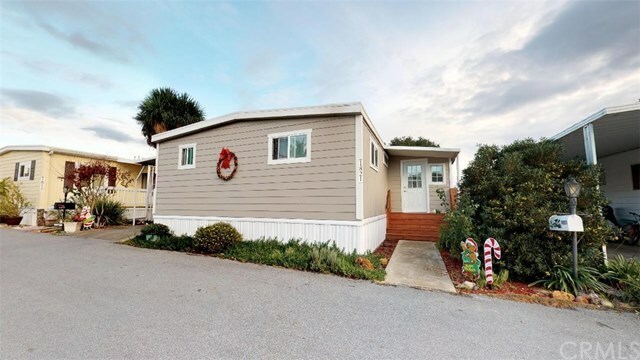 This beautifully remodeled 2 bedroom/1.75 bath double wide manufactured home is in excellent condition and ready for it's new owner to move in now. It features updated kitchen, bathrooms, living room, office area and a new den area. The home has quaint and private backyard and a new workshop area at the rear of the large covered carport that can accommodate up to three small car. The spacious living room has nice views to the east and there is a nice sitting area off the side door that opens up to the back yard. The sellers are motivated to sell soon! The new space rent for a buyer will be $847.12 per month. This amount includes water, sewer and trash fees. Directions: Take Prefumo Canyon Road to the second entrance into Laguna Lake Mobile Estates. Turn into Laguna Lake Mobile Estates. Go to Thelma Drive and turn right on Thelma Drive. Go to 1821 Thelma on the left side of Thelma.